Having spent part of my childhood in Germany, I have a fondness for German crafts and treats. 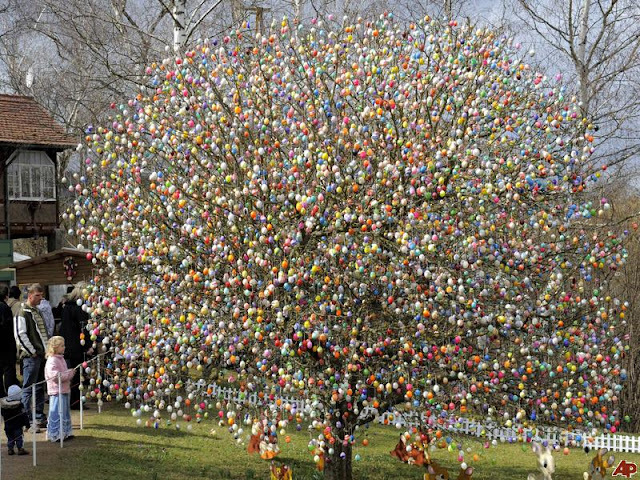 I love the way Easter is celebrated there. 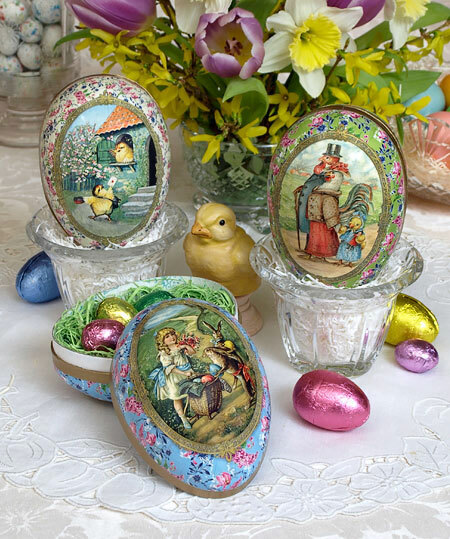 There are Easter markets (similar to the outdoor Christmas markets except with an Easter theme), traditional Easter treats (cakes shaped as lambs, marzipan eggs, chocolate bunnies) and a tradition called Osterbrunnen which is when the water wells are decorated with eggs. Mr. Volker Kraft of Saafeld, Germany spends about two weeks decorating the tree in his front yard for Easter. He has no less than 10,000 eggs. I sure hope that he has some help! 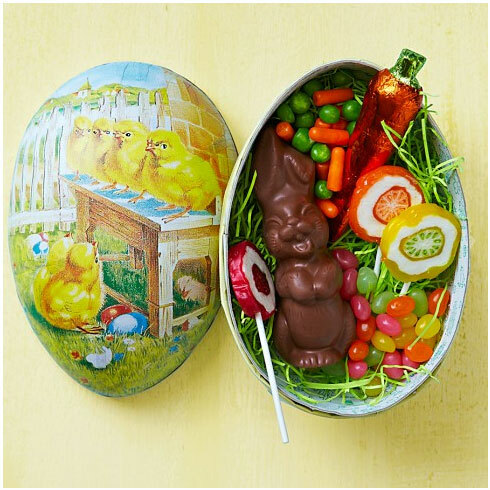 It's no wonder why I've got a bit of an obsession with bunnies and eggs around Easter. 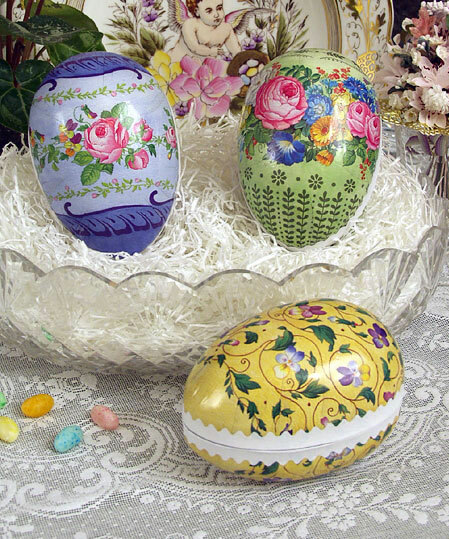 When I came across these German paper mache eggs at Tuesday Morning recently for only $3.99, you know I was a little too excited! Someday I hope to take my children to Germany for both Easter and Christmas so they get a little glimpse into my childhood. Tuesday Morning has them in all sorts of sizes and patterns. The ones I chose are medium sized and about 5.5" in length. 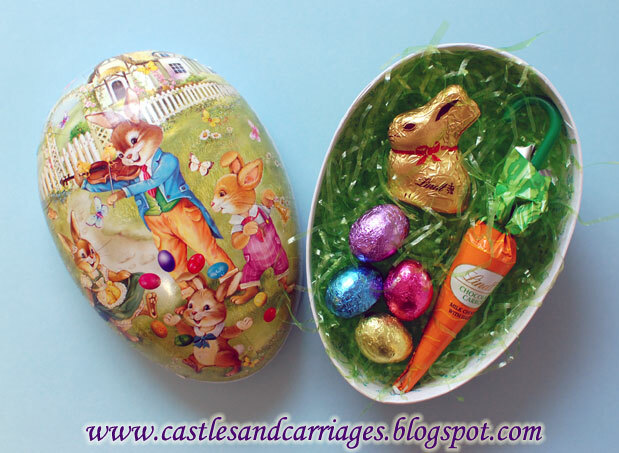 Every year I get a few Lindt carrots and mini-bunnies so these will be perfect containers to re-use every year. My husband chose the bunnies with a train set on them for our sons. 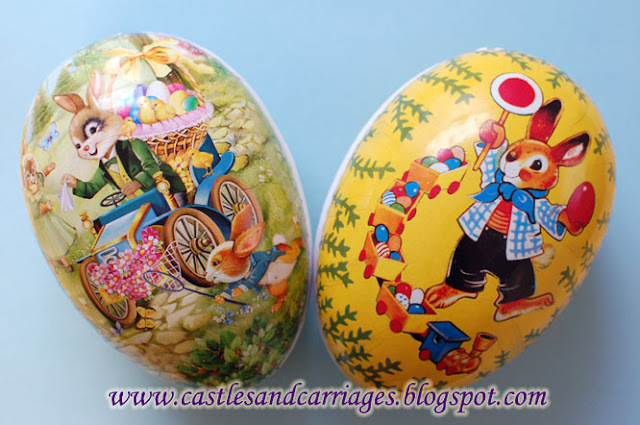 Here are some of my favorite paper mache eggs from around the web!